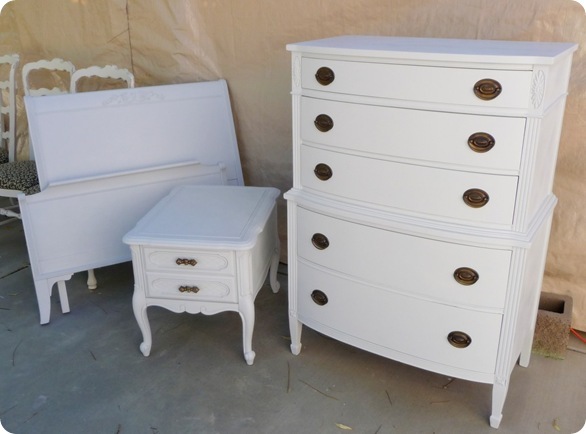 Twice Lovely turned these pieces of furniture that weren't originally a set, into a gorgeous matching white bedroom set. A Very Dandoislion Life made this adorable Santa wreath out of an old book! This has got to be one of my most favorite things I've ever seen!! Frou-Fru Gal found a hutch on craigslist for $25 and transformed it into something gorgeous! Have Stamp, Will Craft turned these rusty old bed springs into super cute glittered Christmas trees! 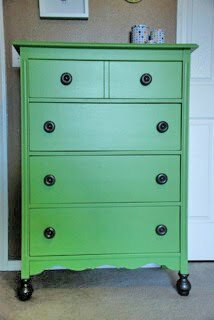 Can I just tell you how much I love the color of this dresser transformation from A Lil' Bird! It's Toile Good took regular gloves and made them into anything BUT regular. These are darling!! and show us your treasures!! Thanks for the shout out! I appreciate the buffet lovin'. Thanks for featuring our dresser! Thanks for hosting, you have such great parties! 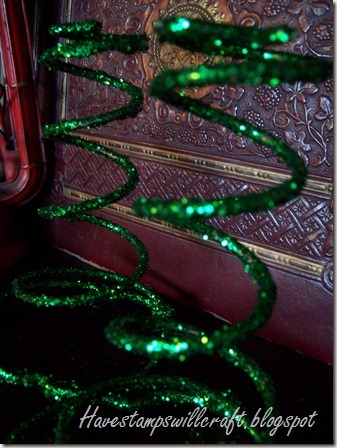 Sorry, some how I posted my entry of Let your Light Shine to the wrong blog...Oops! Could you delete the first and leave the second. One of my favorite link parties. I linked up a tree that almost went in the trash so I hope that counts. Thanks so much for featuring my Santa Book Wreath!! You've made this into a super awesomely fantastic Tuesday afternoon. 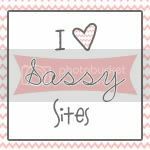 I love your linky parties, they rock. Soooo flattered! 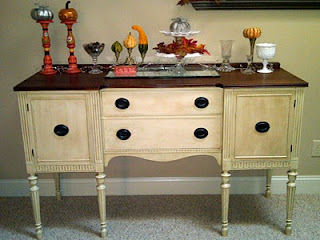 Thank you for featuring the Makeover Mittens! I LOVE the T2T parties! Thank you for hosting - can't wait to be inspired this week!